I’ve got a pretty serious sweet tooth. I use lots of artificial sweetener in my tea, hate to pass up dessert and choose sweet over savory every time. And I still think there is way too damn much sugar in everything here in Gatlinburg. I had a cookie at the snack bar, your basic white chocolate macadamia, and it was almost pure sugar. The rolls in the restaurants are very sweet. My chicken salad sandwich was as sweet as an Oreo cookie. There are candy and fudge stores all up and down the street. The hospitality gift last night was candy. No wonder the average weight around here is measured in metric tons. Not that I’m forgetting about the ubiquity of high-fat foods. Last night’s dinner included a choice of side dishes, and one of the was deep-fried corn. None of us had the nerve to try it. That’s what Gail calls turning something healthy into death food. Nobody will ever call me a health food fanatic, but I try at least a little to pay attention. Mike is considerably more careful about his diet, and we agree that this is a week to just give up and indulge, there’s virtually no way to find a meal not loaded with sugar and then deep fried. Meanwhile, back at the tournament, we got killed in the KO yesterday, then played in the loser swiss at night. It was a great night–we only lost imps on 2 boards all evening, but one of them cost us a match. We finished tied for 9th overall, which is not exactly something to crow about. The real winners of the evening were our friends Chuck Wong and Lauren Friedman, whose team sat down in the loser swiss to face the Lynch team–Mike Passel, Carolyn Lynch and two Polish world champions. Chuck and Lauren beat them bloody and won the match. That’s enough of a success to justify the entire trip as far as I’m concerned. 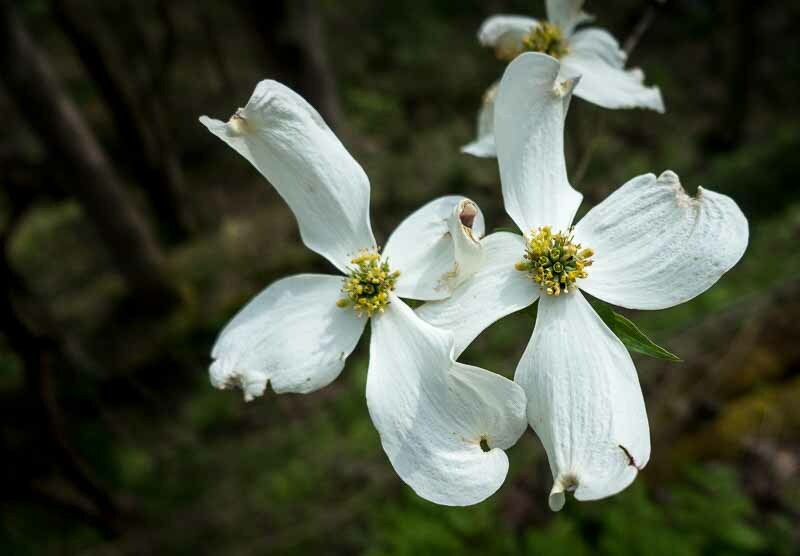 The photo at the top is a dogwood flower. I had some time yesterday and went out photographing in the Great Smoky National Forest. I think I’ll use a few more photos from my excursion this week, there isn’t much around here I haven’t already photographed and written about. It would be interesting to hear about how the adoption of the new official State book was covered on the news.